Let’s face it: most people that approach the financial markets are not really interested in the markets at all. They simply want to make money. To make matters worse, the majority want to make absurd amounts of money in very little time. Today’s brief post is simply a reminder that trading is a job like many others, and there is no “get rich quick” scheme. I was showing my Italian fiancèe a youtube video on Canada and at a certain point the vast landscapes were interrupted by a funny old man called John. Check out John’s brief story in this video from min 17:56 to 19:41. John is a 92 year old farmer that reminds me of my late 97 year old grandfather as they share a common perspective that I’d like to share with you today. In his own words, John said “People quit! That’s the problem with some people nowadays. They reach 65 and they quit. Then, at 70, you put them in a box“. John was alluding to the fact that he sees people work until they reach retirement, collect their retirement and do nothing. Then John reminds everyone that “Everything slows down when you stop“. This is exactly what I saw with my grandfather. He didn’t like to stay still and he didn’t stop until he was literally forced to. He rode his bike with groceries on both handlebars until he was 96. He cooked his own meals, he cleaned his house each week and he maintained that bit of a social life that he could (despite the fact that he was outliving his friends one by one). The moment he lost the use of his legs and his routine stopped, his age caught up with him and within 1 year he went to be with the Lord. As for John, he was 92 when the video was made, and he said he was looking towards 100! He suspected there were another 4-5 years of work left in him. Here’s the key: we all need to choose our jobs wisely because if we enjoy what we do, it won’t feel like work and we will never think about quitting. It won’t always be easy or fun. But if you enjoy it, those setbacks won’t stop you. Vice-versa: if we don’t like what we do, each day will be stressful and we will feel like we’re wasting time. We will start to look for shortcuts or a way out. Think about Ray Dalio, Paul Tudor Jones, Warren Buffett, Bill Lipschutz…they could all retire and play golf all day long. But they are still working. They didn’t become the best in their fields by chance. They actually find meaning in what they do and they like it. Why Do Want To Trade? So what brings you to the financial markets? Are you simply looking into the markets as a means to an end? 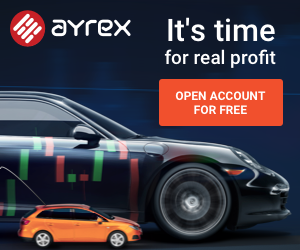 Or are you actually interested in learning how the markets work, following the flow of events around the world and creating a profession (becoming a trader)? Trading is a job like many others and in my experience it’s only the people that have a genuine interest for the job that actually succeed. Sadly, most people that approach FXRenew didn’t get the memo. subscriptions fall when we get into temporary drawdowns or when we don’t issue signals for whatever reason. This is no different from what academics have seen with mutual funds and other investment vehicles: clients enter at new equity peaks (buying the high) and exit during drawdowns (selling the low). The bottom line is that trading is a job. You can’t learn to do a good job in the markets overnight, or by reading a couple of books. Furthermore, a bad day at work means you can lose a lot of money unless you know what you’re doing. It takes dedication, hard work and perseverance to make the transition from being a losing trader to being a solid, consistent trader. The only people I’ve seen make the transition had a genuine passion for the markets. They aren’t looking for quick profits. They get up every morning and stare at screens because they like what they do. So the resolving question is: what do you really enjoy doing? The post Why do You Want to Trade? appeared first on FX Renew. Living Expenses: What Are They and How Do I Budget for Them?